The Ship is a quiet traditional country pub tucked away at the end of the picturesque Hampshire village of Owslebury near Winchester. Alongside our church “Saint Andrews” this pub is the hub for our village. The ship inn is the last surviving pub in Owslebury and the only place where the majority of villagers can socialise and share news and banter. 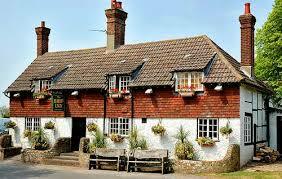 The Ship Inn has a friendly atmosphere where visitors to our village are made welcome. The gardens are extensive with a large play area. Popular with walkers as the starting or finishing point and a good resting place for those on the Pilgrims Trail which passes close by. Restaurant and bar, Beer garden, Darts, Crib night.